Acacia fraternity is dedicated to "Preparing Tomorrow's Leaders." With a groundbreaking new membership development initiative, Cornerstones, and innovative leadership programs such as the Acacia Leadership Academy, we are able to provide unique opportunities for college men to become the next generation of leaders throughout the world. 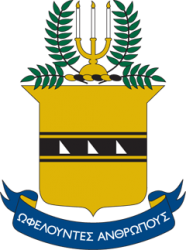 Acacia Fraternity was founded on May 12, 1904, at the University of Michigan. Over 48,000 men have joined our ranks in pursuit of Virtue, Knowledge & Truth.